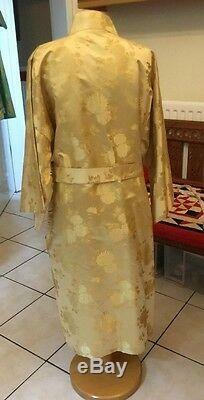 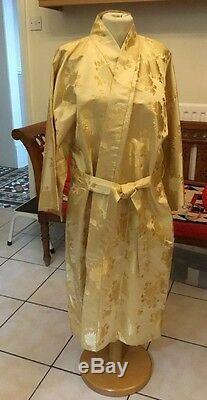 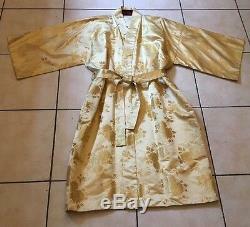 Vtg Nikko Palace Hotel Japanese Japan Silk Brocade Lame Luxury Robe made from Kimono type fabric. 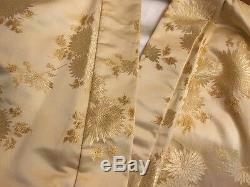 This is the most gorgous shade of Soft Gold Silk Brocade with lame embroidered chrysanthemum flowers and Ivory silk Satin lining. 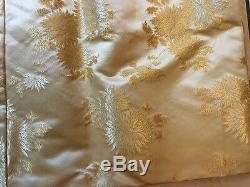 Fully lined with Ivory Satin lining. 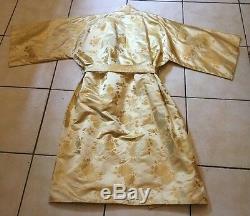 I think it dates to the either the late 1960's or early 1970's. 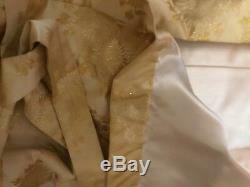 It measures 40 inches under the arms and is 42 1/2 inches long - measured from back of Collar to hem. 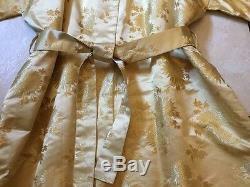 It would probably best suit a size 12 /14 or a 16 if you don't mind the wrap being less. 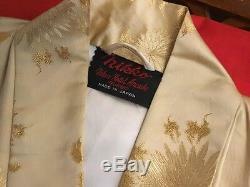 The only thing I need to mention is that it had lain folded for many years - I have pressed it but was afraid to have to hot an iron on it so I didn't get all the creases out - so it really needs professionally steaming to do that. It's the most gorgous item. 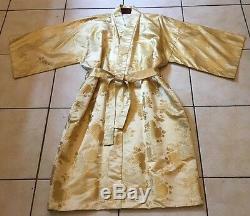 The item "Vintage Nikko Palace Hotel Japanese Japan Silk Brocade Lame Bath Robe Kimono Fab" is in sale since Monday, June 5, 2017. 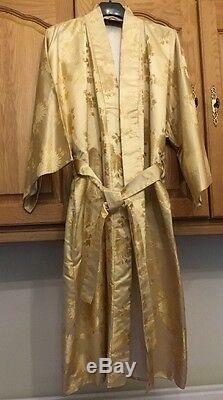 This item is in the category "Clothes, Shoes & Accessories\World & Traditional Clothing\East Asia".